What do successful people keep on their desks? I don’t know why I had that thought. I guess I was curious if anything I was doing was not in line with what successful people have and were doing. In my last job we had these personality tests and one day we sat with our co-workers, the ones in our department, and discussed each other’s personalities. It was a way to get to know each other more. One co-worker said that they noticed that my desk was usually clutter-free. They said that I didn’t have much on my desk and that if I did it was always in its place. That was interesting to me. I hadn’t really paid attention before, but it was true. Even today I don’t have much on my desk. I have a coaster where I set my glass of water. It sweats in the summertime. And I have two other items. I have a plain white notecard and a pen. I also sometimes have my phone and wallet. But that’s about it other than my phone. Today I thought it would be fun to look at what other successful people have or have had on their desks. I’m sure it spans a wide swath, but let’s check it out for curiosity sake. 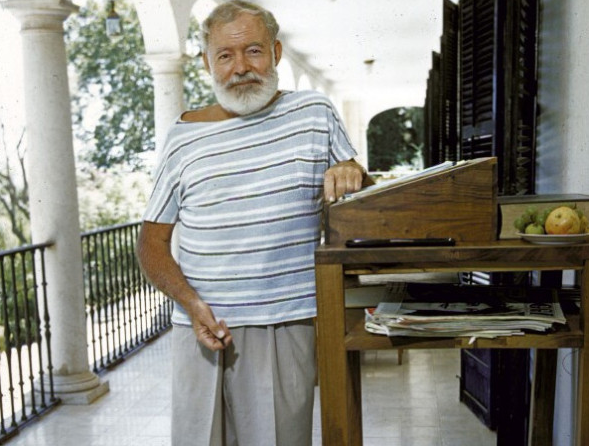 There’s an image of Ernest Hemingway standing at his desk. What stood out to me was that he has a plate of fruit. Was that normal? Was that staged for the photo? I don’t know, but it’s interesting. I think many people have food on their desk. Maybe we shouldn’t read too much into it or maybe it’s important to be well-fed while working and thinking. 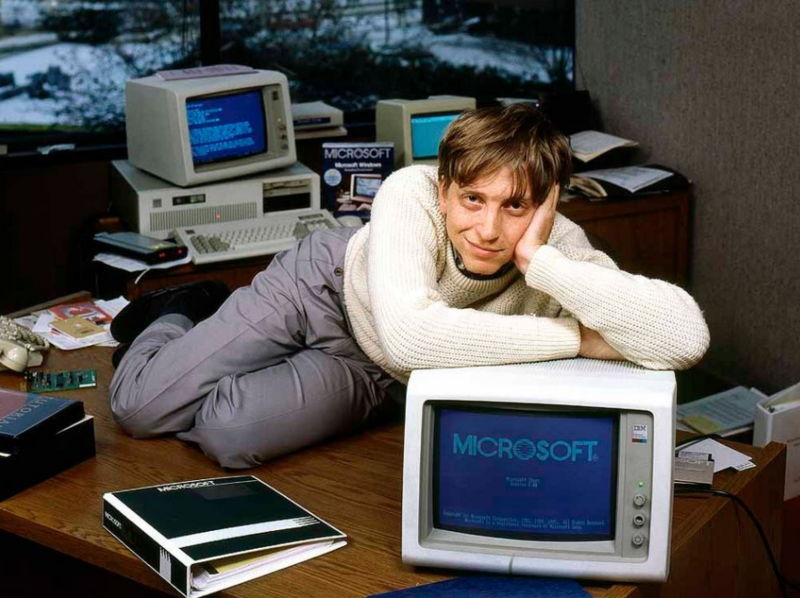 Here’s a famous photo of Bill Gates at his desk. It looks pretty staged, but there are still some interesting things going on here including the little post-it note just under his elbow on the stack of papers. Is it common for successful people to have notes or reminders? I know that I forget things unless I write them down whether it’s on a little sticky note or somewhere on my calendar or email. 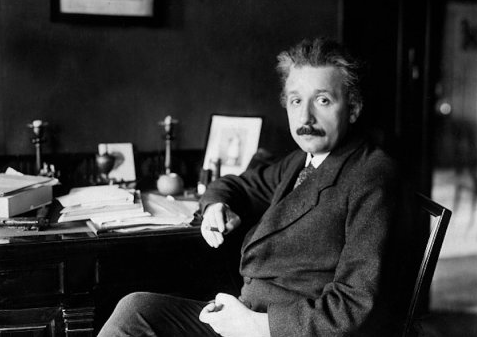 Here’s one image of Einstein at his desk. In the background it looks like there is a portrait of someone. Usually when we have photos of people on our desk it’s because we care about them and maybe it serves as a reminder of the reason we’re sitting at that desk in the first place. Or maybe it just makes us feel happy and that can lead to a good state of mind for thinking and working. 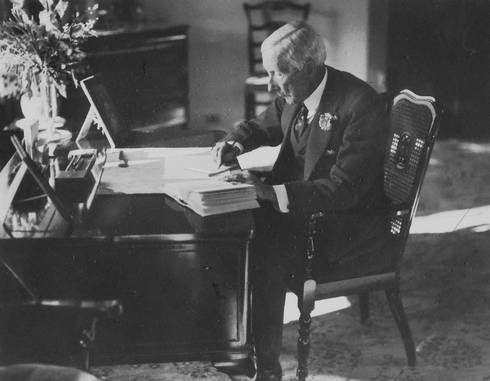 I like this photo of Rockefeller at his desk. When I saw those flowers in the vase it made me smile. That desk is pretty clear without many papers. There are photos, but what stood out to me were the flowers. 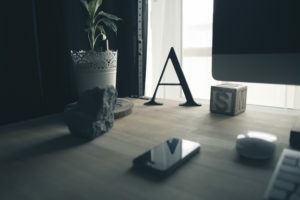 It seems to be a way to bring some freshness and life to the desk and the office space, which can get kind of dead-feeling at times. 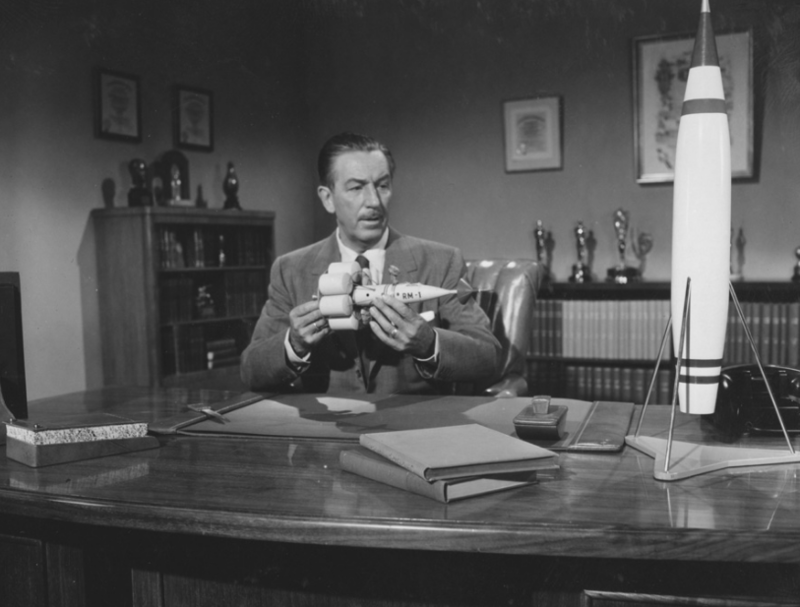 Is it a surprise that Walt Disney had toys or models on his desk? Not really. The man believed in magic. He was a dreamer. He has model rockets on his desk in this photo. Maybe it’s a sign that his mind was always in the sky and dreaming of what could be. I don’t think it’s unusual for successful people to have toys on their desk. It’s pretty common for anyone to have books on their desk. 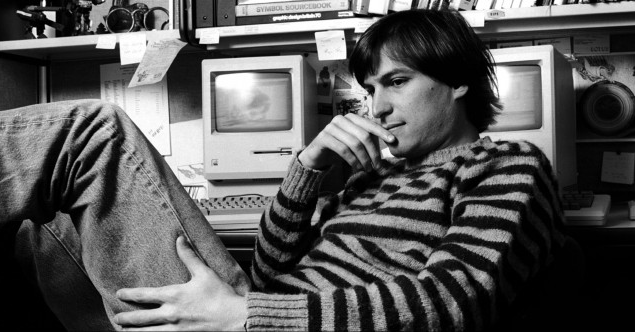 There are several photos of Steve Jobs at his desk and most have books somewhere in the photo. What stood out to me in this one was the Symbol Source Book. That’s a big part of the Steve Jobs story and his personality. I don’t know what kind of symbols those are, but he liked different shapes, calligraphy, etc. His books were both functional and also seemingly for inspiration. 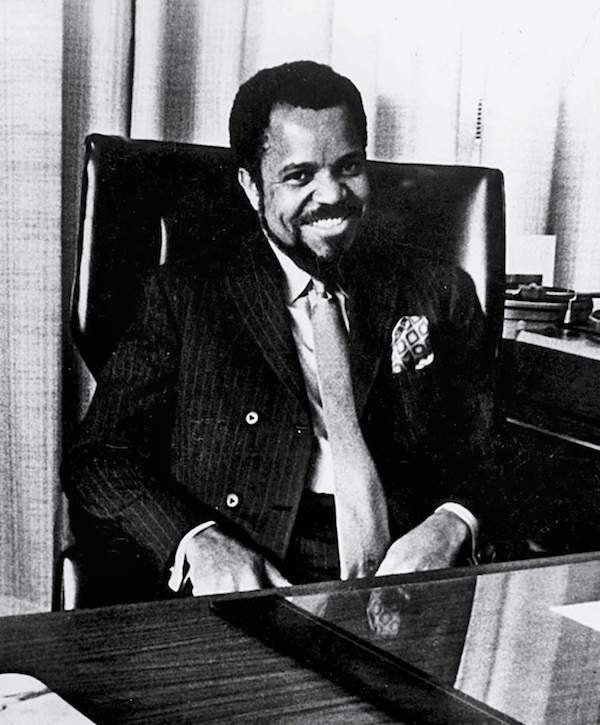 It’s probably not a surprise that the founder of Motown, Berry Gordy, had record players. But it’s interesting to think that music was a part of his daily work at his desk. I know I listen to music and I’m sure many people do at their desks as well. I was looking at this photo trying to see what interesting things Oprah has on her desk and then it hit me that the desk is full of all kinds of color. It’s pleasing to look at and I’m sure that helps to bring some positivity to the work day. 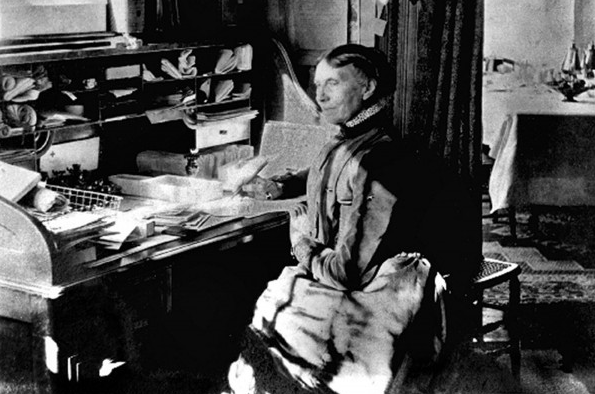 Here is Clara Barton, founder of the American Red Cross, sitting at her desk. I first noticed the wire basket for papers on the left side. Then you see the other places to store paper. That’s pretty common among people at their desks. They may have filing cabinets and drawers. We all have something we need to store and having a system in place, even if we’re the only ones that know it, helps us find what we need. I read Sam Walton’s book awhile ago. He was noted for always carrying a voice recorder with him wherever he went. 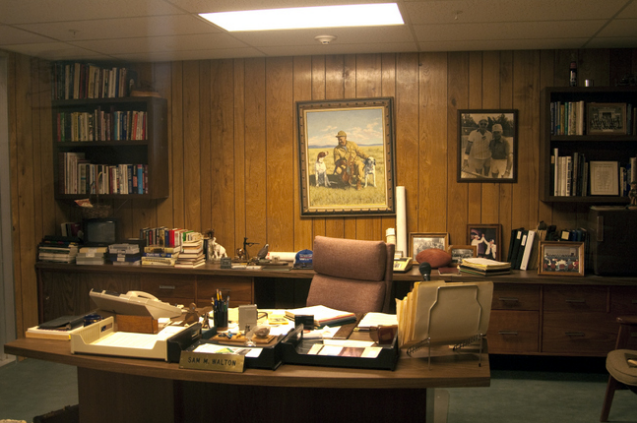 Here is a photo of his desk at the Walmart visitor center. You can see his recorder. I guess everyone has their own way of taking notes.